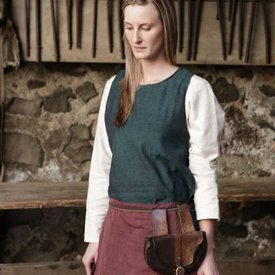 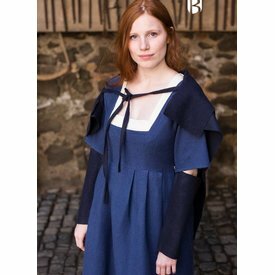 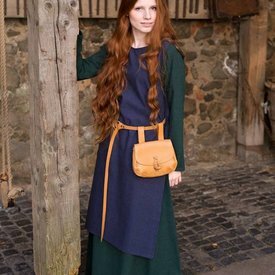 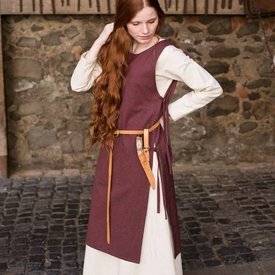 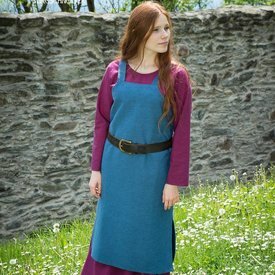 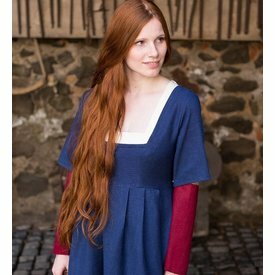 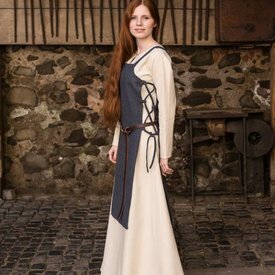 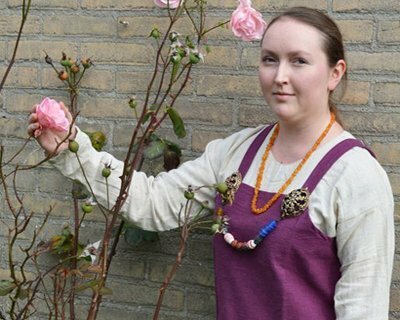 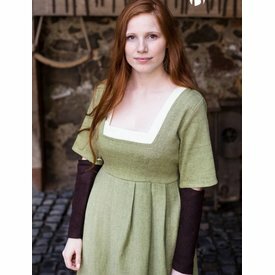 Ladieswear based on medieval & early medieval models. 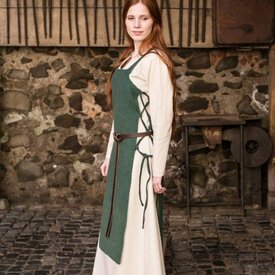 Replica's for re-enactment, LARP & living history. 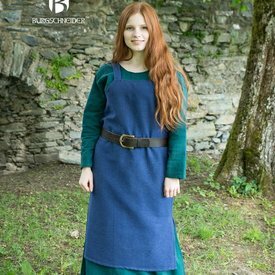 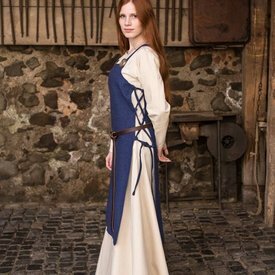 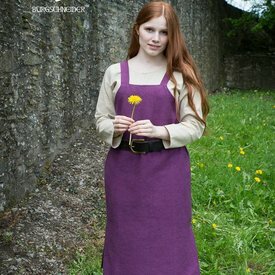 Two-color medieval dress Marigold, light-blue natural L, special offer!